Have your daughters started shopping for Prom? Not only can the girls attend their own dances but they also attend the dances from other schools. Everyone wants a dress, shoes, flowers and more which no one else will be wearing. This isn't always easy especially if you live in a small town. How about your daughters? When will they start preparing for prom? Here are some tips to help you along the way! This is a sponsored post but my own opinions are shared here. When it comes to prom, everything must be just right from the shoes to the dress to the date and yes to even the after prom activities! 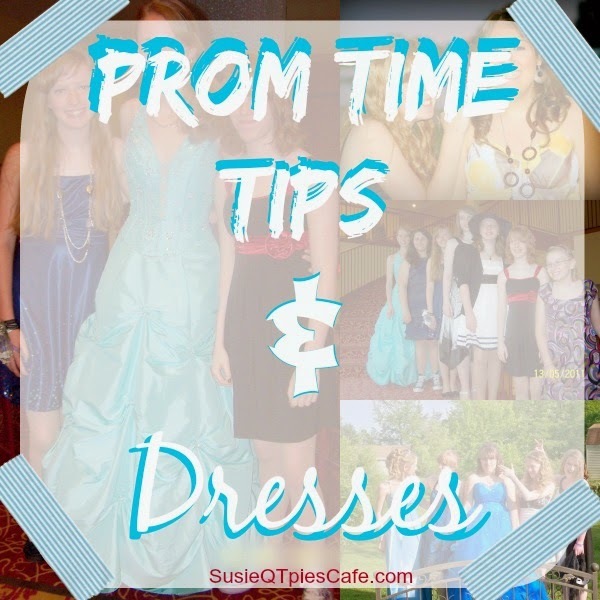 Here are some prom tips to help you along the way. Some tips might be a little sarcastic but we all need a little fun to keep the stress level down. 1 - Get the dress first! Once you have the dress then take care of all the other details. We checked out JenJenHouse and loved that the selections and prices were under $200. 2-Get a date - ok so this should be your first tip but most girls are going to prom without a date and hanging out with a group of friends. 4- Flowers - If the girl has a date she needs to let the guy her dress color so he can get her flowers. No one wants the wrong blue flowers or ribbon for their exquisite, perfect prom dress http://www.jenjenhouse.com/Prom-Dresses-c18/new-arrival/. 5- Prom Budget- Ok so maybe this tip should be shared before finding the perfect dress and handsome date. Set a budget for your princess or you'll both regret it later. This will help control the roller coaster of teen emotions. 6-Photos - No matter what, please make sure you take a lot of photos. Teens and parents both will regret later if none get taken! There are more tips to share but I would love to have some of yours, too! Share your tips in the comment section and I'll add them to this post!